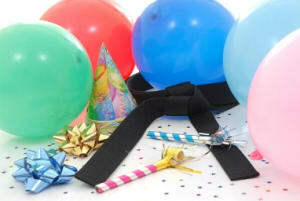 KICKIN' MARTIAL ARTS BIRTHDAY PARTIES IN LONGMONT! What could be more fun? What could be easier for Mom? This Year, Try Something Different for Your Child's Birthday. Try Tran's Martial Arts and Fitness Center in Longmont! At Tran's Kickin' Birthday Parties in Longmont your child and friends not only get a great party but they get a workout and learn about martial arts while they have a blast! During the party children will develop a feel for the total fitness, self confidence and discipline that Martial Arts can provide. And it's not just great for the kids; we provide a care-free party that gives the parents a chance to relax and enjoy the day with their child. Call the location nearest you today, and make your child's next birthday one to remember!